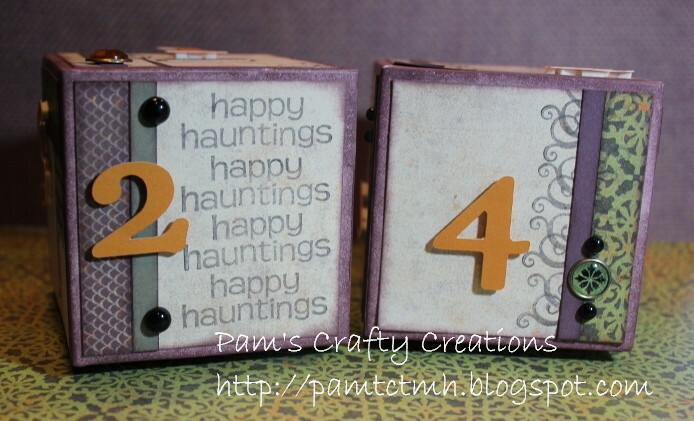 I am having so much fun creating using the Moonlight Workshop on the Go Kit! Here is the Additional Layout featured in the kit. I made it using pictures of my youngest sons trip to the pumpkin patch with his preschool class. I didn't stamp the fence with the owl on the right hand page like the instructions showed because I just didn't think it went with my pictures that well. But I did add the Color Ready Arbor Wooden Shapes pumpkin below the journaling and stamped directly on the pumpkin with the Abundance stamp set, then inked the edges of the pumpkin with Goldrush ink and I think it turned out really cute! And did you happen to notice, on my title, I used the new "Swipe Hype" technique? This is the technique Monica & Kristine showed in the My Craft Channel video back on Sept 11th. I'm working on some other pages to complete the pumpkin patch visit and will be posting those soon. So until that post, happy crafting! 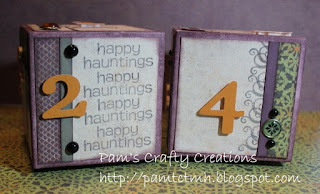 Supplies used - Moonlight Workshop on the Go kit, Haunted Assortment, Color Ready Arbor Wooden Shapes, Slate, Goldrush & Colonial White cardstock & Black Ink. Why do I think of a superhero with that title? Hmm, I wonder... The Avengers is all the rage right now and what my boys will be for Halloween. And when you watch this new technique video by Close to my Heart's Monica & Kristine, you will see something along that line of thinking also. “The Stamp behind the Mask” features masking portions of your stamps so that you only ink and stamp what you want to see. I hope you enjoy the video. Let me know if you have any questions! You probably saw my post back on the 1st about Seeing Stars on Jeanette Lynton's blog. I just loved the Halloween designed star and had to make one too! Here is my star. I didn't have the Black Flourish Sparkes, so I just made it without them. I think it is so pretty & a lovely addition to the seasons decorations in our home! It's almost Halloween, what fun! And what better way to get into the Halloween spirit, besides all the fun decorations I've put up? 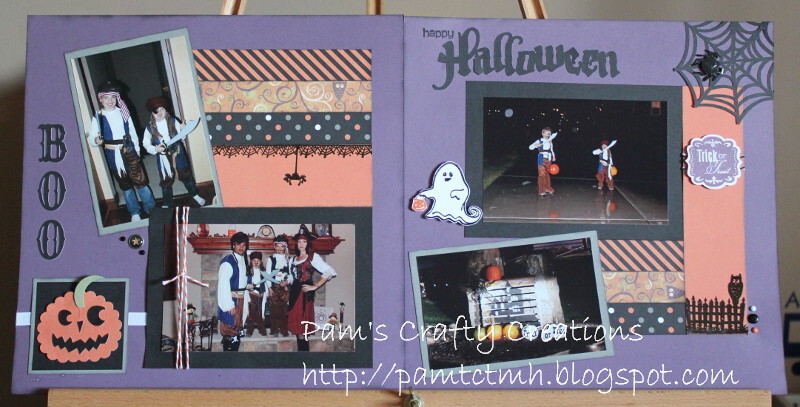 To work on last year's Halloween layouts! Here is the layout I completed a couple of days ago of my boys going trick or treating in the neighborhood. 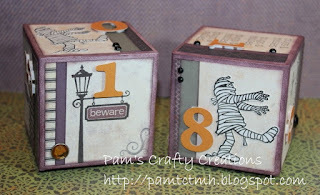 Supplies used - Moonlight Workshop on the Go kit, Perfect Fit - Halloween & Creepy Creatures stamp sets, Haunted Assortment, Licorice Opaques, Harvest Baker's Twine, and Goldrush & Black cardstock. 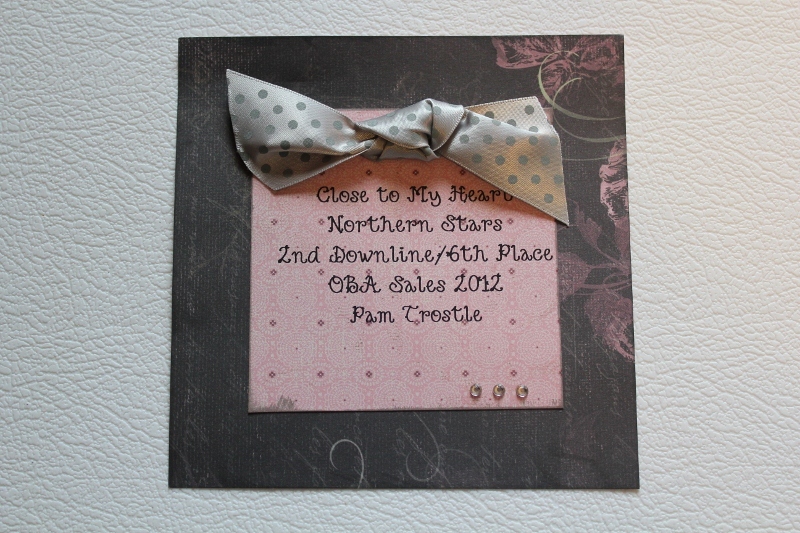 This layout is based on the Cherish sketch Photo Shapes on page 46. Yes, it is that time again. 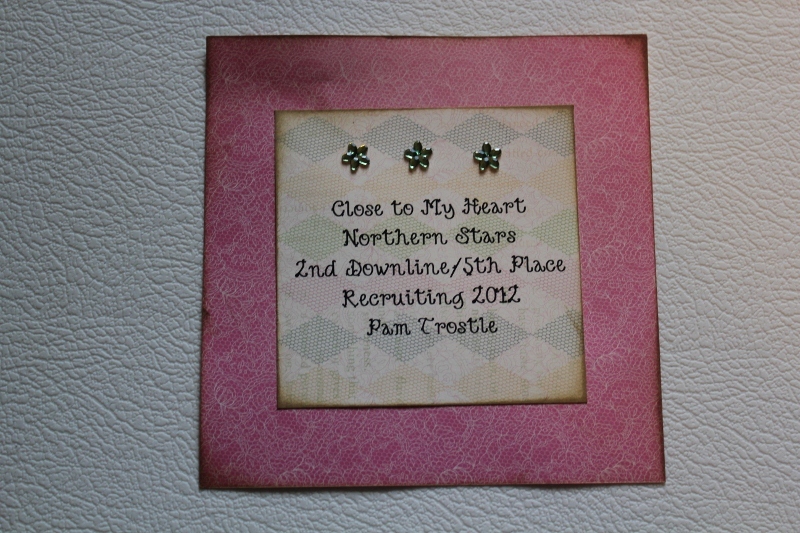 Time for another Close to my Heart - Clearly the Best, Stamping with Close to my Heart video via My Craft Channel. “Alcohol Marker Madness” features coloring stamp images with alcohol-based markers for a smooth, vibrant look. Enjoy the video & then contact me to get your set(s) of our new alcohol markers! What is today?? Why it is Tuesday of course and what does that mean? Time for another great video from Monica & Kristine out of CTMH Corporate office via My Craft Channel. Today's video is all about our wonderful Cricut cartridges - Art Philosophy & Artiste and how easily they coordinate with our My Acrylix stamps! 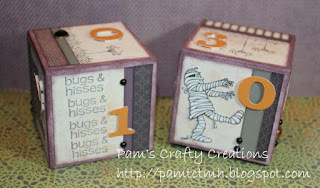 “Coordinate with Cricut® Cuts” highlights the unique ways to stamp coordinating Cricut® shapes and add them to your artwork. Enjoy the video & then contact me to get your exclusive CTMH Cricut cartridge! I almost forgot to post these. My upline Mandy brought them by to me yesterday. When she signed up to be a Consultant I believe almost 10 years ago, she lived in Michigan. So her upline and the majority of our team - Northern Stars are in the Michigan area. I've never been to Michigan, but would love to go at some point to attend one of the team meetings. I get to hear all about them on our team board and they always sounds like so much fun! Everyone that I've met at Convention's of the team are all such wonderful ladies! Anyway, Mandy brought these by to me yesterday and it is exciting to see my name so I have to share with you! Thank you Dana for getting these mailed to me! It's October, so of course that means Halloween is just around the corner. I am reminded of this almost daily by my youngest son. 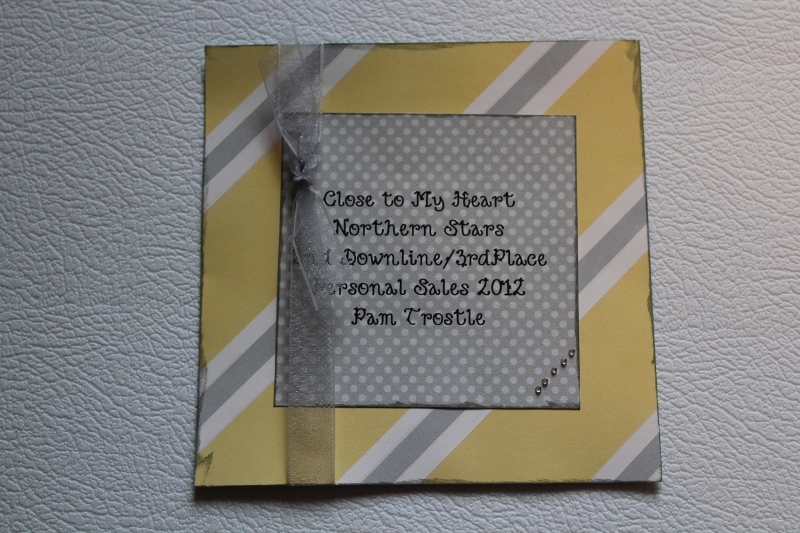 On Monday night we had our monthly scrap class and this is the layout that the ladies made. The layout is based on the Make It From Your Heart Volume 1 how to book Pattern 12. This is also the layout featured in the Moonlight Workshop on the Go Kit. All CTMH products used unless noted. It is Technique Tuesday video time again and it's about Getting Perfect Precision from Your Inks features a stamping technique with sponge daubers for a soft, shaded look. Enjoy the video & contact me to get any of the products featured! Have you been over to Jeanette Lynton's blog lately? Well if not, you must go see her latest post, Seeing Stars. 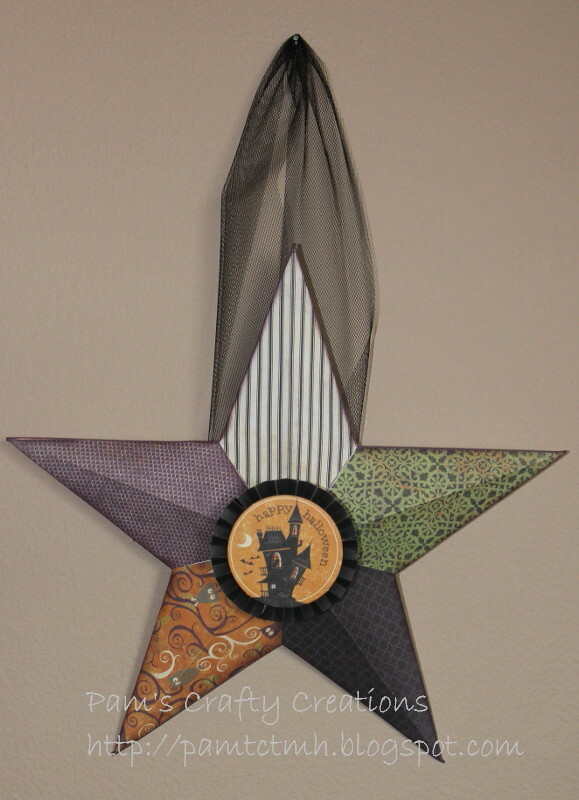 I have one of these My Creations Stars just waiting to be decorated and displayed. 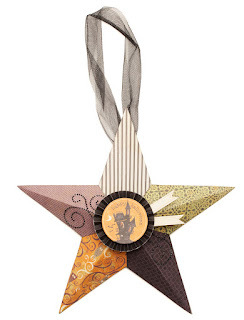 I'm thinking my home needs this adorable Halloween themed star hanging on our wall.